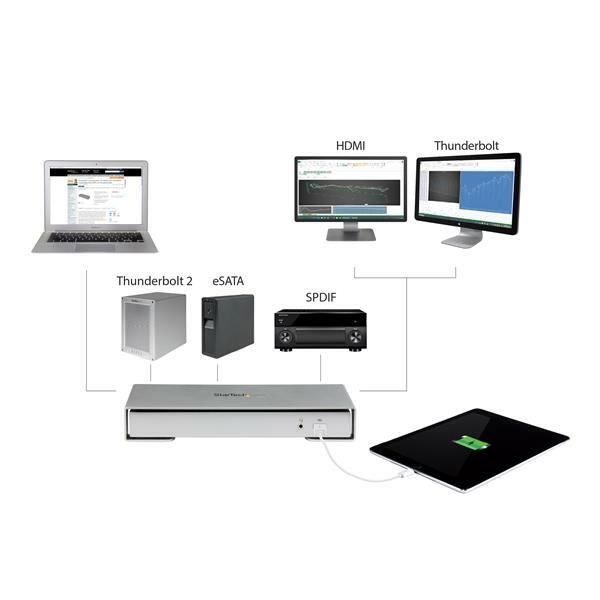 The TB2DOCK4KDHC Thunderbolt™ 2 Docking Station lets you connect up to 11 devices to your MacBook or laptop, so you can create a convenient, 4K Ultra HD workstation. Laptops often lack the connection ports you’ll need to maximize productivity, while many docking stations only offer basic port interfaces. 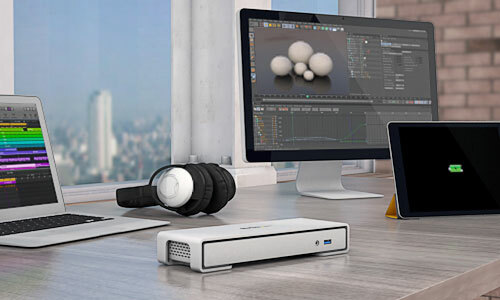 With more connection ports than most docking stations, now you can vastly expand your connectivity while taking advantage of Thunderbolt 2 possibilities. 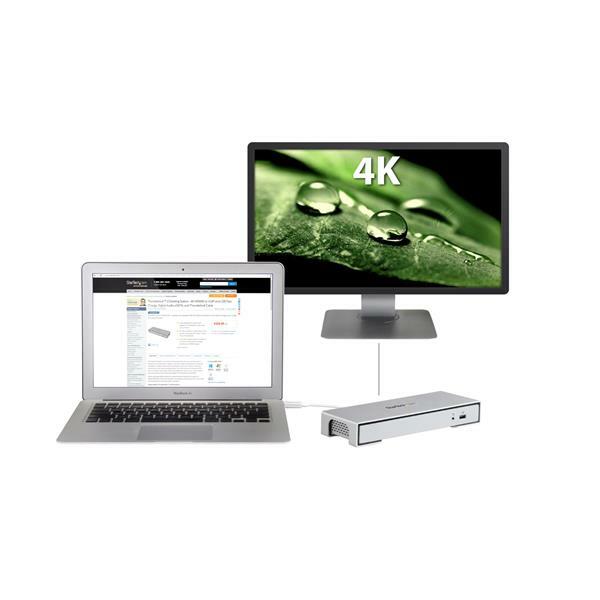 Delivering unparalleled speed and unprecedented display technology, the TB2DOCK4KDHC offers the ultimate in workstation convenience and is one of the first Thunderbolt 2 docking stations available. 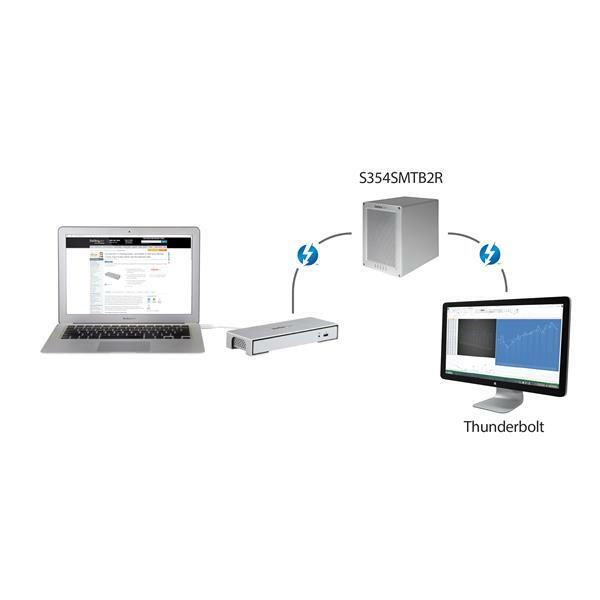 Thunderbolt 2 redefines efficiency with dependable, lightning-fast performance. 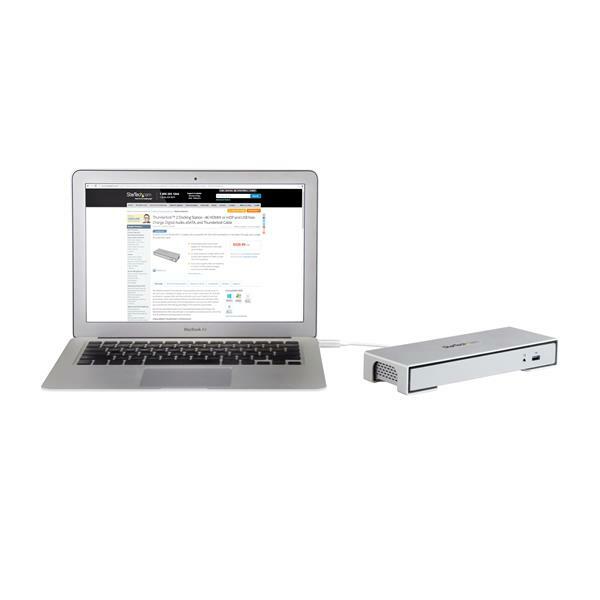 With up to 20 Gbps data throughput, this convenient laptop docking station helps you avoid the nuisance of bandwidth bottlenecks when connecting multiple displays and peripherals to your MacBook. Thunderbolt 2 merges two 10 Gbps channels, delivering speeds that are twice as fast as Thunderbolt 1, and 4x faster than USB 3.0, for unparalleled device performance. With virtually no throughput restrictions, this versatile docking station gives you essential connection ports as well as interfaces other Thunderbolt 2 docks don’t offer, such as USB 3.0 fast-charge, eSATA and SPDIF 5.1 digital optical audio ports. The TB2DOCK4KDHC lets you use your peripherals at higher speeds, saving you time so you can get your work done faster. Discover 4K Ultra HD for an unprecedented visual experience! 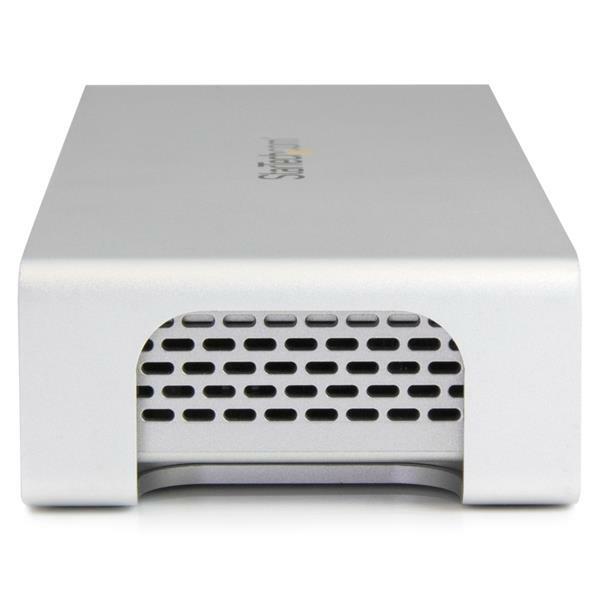 The dock delivers brilliant text and image quality at 4K resolution (3840 x 2160p) to your HDMI®, DisplayPort™, or Thunderbolt monitor (4K resolution at 60Hz is supported when connected to a single Thunderbolt display). Plus, you’re set for the future popularity of 4K sources and displays. For the improved productivity of a dual monitor setup, the dock can connect to an HDMI and a Thunderbolt display, with 4K resolution on a single display. You can even connect multiple displays via Thunderbolt daisy chain, giving you two convenient possibilities for expanding your overall screen real estate! For a convenient workstation experience, you can eliminate hassle and save time by leaving your vital peripherals connected to the dock. You can easily create a dynamic, full-sized workstation in seconds using the included Thunderbolt cable. 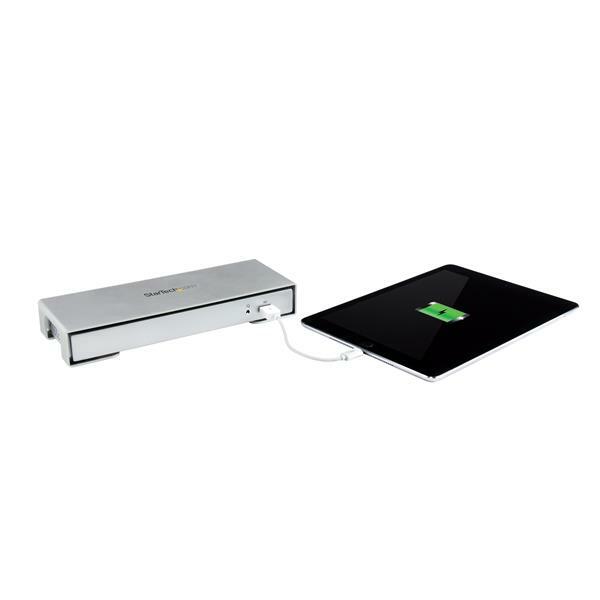 Plus, you can fast-charge your tablet or smartphone with or without your laptop connected to the dock, through a handy, always-on USB fast-charge port. 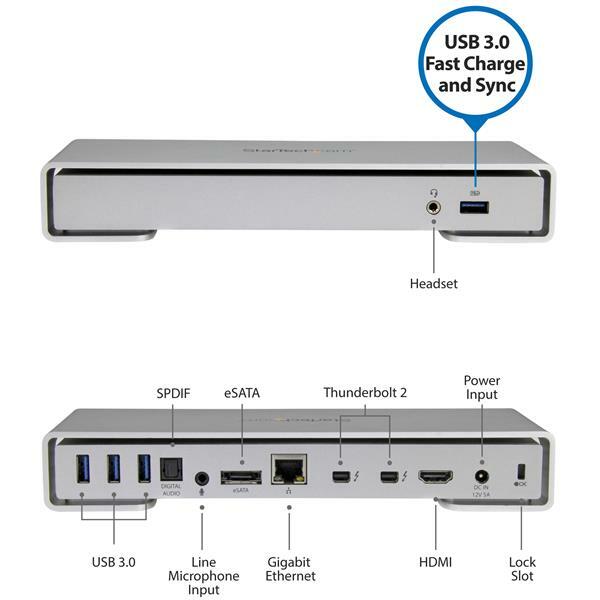 This Thunderbolt dock lets you hurdle connection limitations by adding several essential ports to your MacBook Pro® or MacBook Air®, such as multiple storage peripherals through eSATA (with port multiplier support) and USB 3.0 hub ports. Unlike other Thunderbolt docking stations, the TB2DOCK4KDHC offers an SPDIF port so you can take advantage of your laptop or MacBook 5.1 digital optical audio capabilities. Plus, for maximum connectivity you can daisy chain up to 6 Thunderbolt devices. 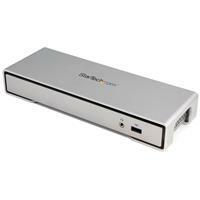 Unlike some proprietary docking stations designed only to work with specific laptop models, this universal Thunderbolt 2 laptop dock works with multiple brands. 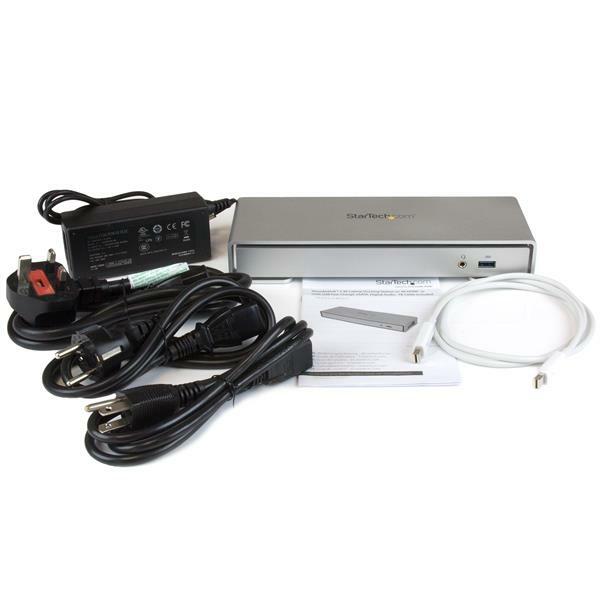 All you need is your laptop or MacBook Thunderbolt 2 port and you can be up and running quickly. With universal support, you can use this dock with different laptops. 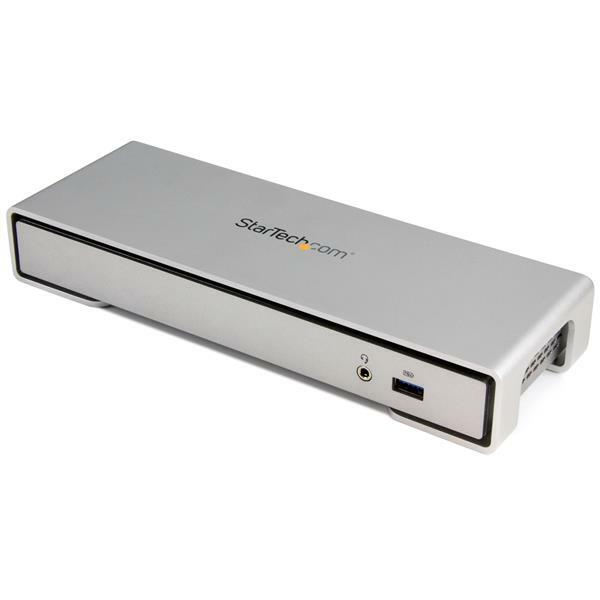 Backed by a StarTech.com 3-year warranty and free lifetime technical support, this durable Thunderbolt 2 dock also features an aluminum outer frame and stylish silver sandblast finish that matches your MacBook nicely! 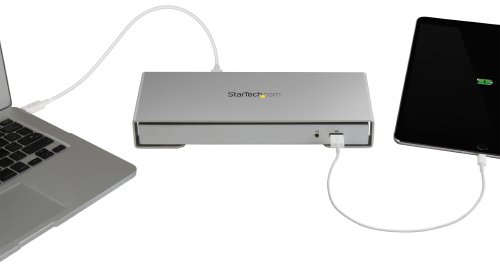 Note: Depending on the configuration and the supported resolutions of your connected monitors, the docking station may support video resolutions lower than those specified above. 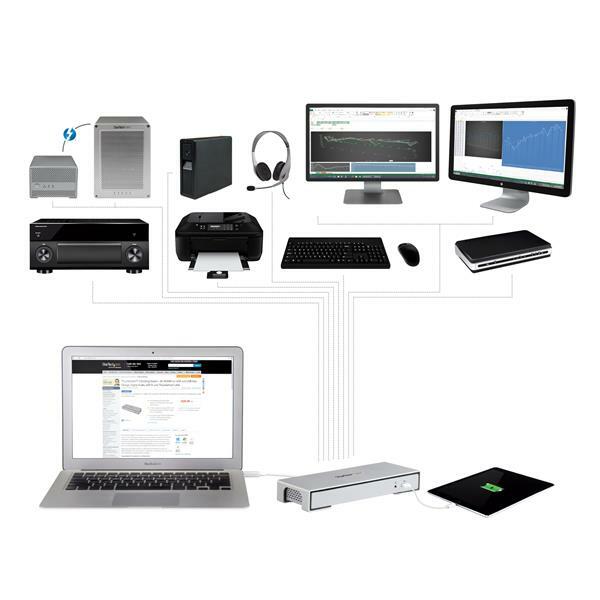 The docking station's eSATA port is natively supported in both Windows and Mac operating systems. However, port multiplier is only natively supported in Mac OS. Install the ASMedia-ASM1061 driver to enable support for port multiplier in Windows OS.